Having a carnival or sideshow alley theme for your next event? 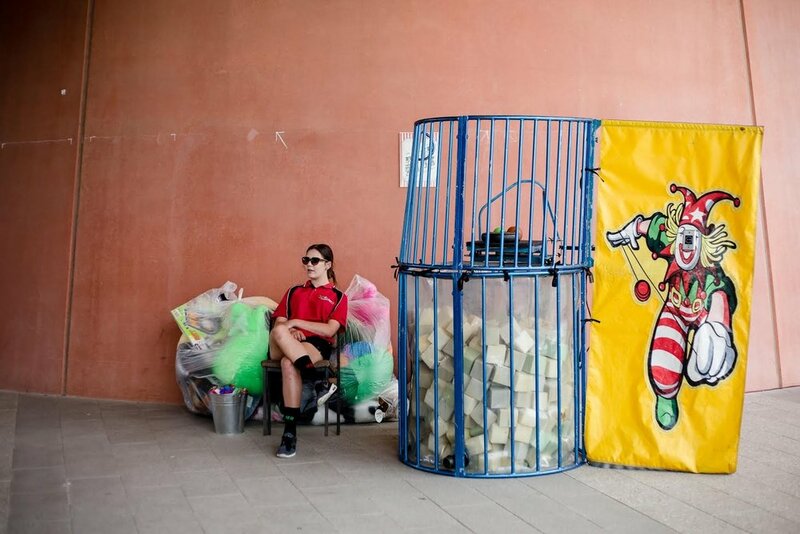 Roll up, Roll up to the most popular carnival game of them all – the Strongman Striker. This always gathers a crowd! Test your strength against your friends or workmates. Roll up your sleeves and have a bash. See how high you make the token go! The Strongman Striker hire is the best addition to any carnival themed party or rowdy Bucks night crowd. Little children love to show up dad with our miniature version of the Strongman Striker. Hulk Smash Striker is suitable for ages 2 - 8 only. It is 2.1 metres tall.